Today, All Star Video Sports is starting a new blog series, focused on the college coach’s perspective of recruiting videos. What do college coaches look for in a young, athletic prospect? What characteristics do coaches really want to see in an athlete? We will begin to look at the various intricacies of reviewing video from the coach’s perspective, to better help each athlete understand what they can do to receive that athletic scholarship! Our first sport we will be exploring is soccer. Nate Houser, Baker University’s head soccer coach, was our first interviewee for this topic. 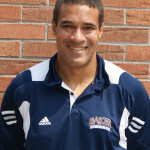 Coach Houser began to coach the Baker University women’s soccer team in 2003, coached both the men and women’s teams for Baker in 2008, and then stepped down from the women’s team in 2013 to coach the just the men’s team. Houser has found a large amount of success since he has been the coach at Baker. He has received multiple awards in his position, a few include receiving the HAAC Coach of the Year award for both the men and women’s teams multiple years, led the women’s team to the final four in 2010 and the men’s in 2011, led the men’s team to be the HAAC regular season and tournament champions in 2013, and has posted a career record of 78-29-14 with the men’s soccer program. Coach Houser was a great help in understanding some of the key video elements he focuses on while reviewing recruiting videos.